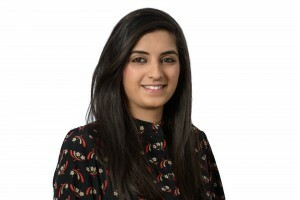 Reema joined Philcox Gray in 2016 and is a solicitor in the Housing & Public Law department. Prior to this, she worked for Shelter Legal Services based in Hackney where she developed her interest in housing law. Reema assists clients on matters such as homelessness, possession proceedings and judicial review. Reema studied law at the University of Manchester and went on to study the LPC at Nottingham Law School where she obtained a distinction. During her studies, she volunteered for the Streetlaw project and was an adviser at both the Manchester University and Nottingham Law School Legal Advice Centres. Reema has also been a Legal Assistant at the Royal Courts of Justice Advice Bureau where she worked with clients most affected by the cuts in Legal Aid funding in order to increase access to justice. This involved advising clients on a range of legal matters including landlord and tenant disputes, family and divorce matters as well as employment law queries.